Earlier this month, Uber announced that it would begin testing self-driving taxis in Pittsburgh sometime this month. But it’s now been beaten to the punch by autonomous vehicle tech firm Nutonomy, which is kicking off public trials in Singapore today. 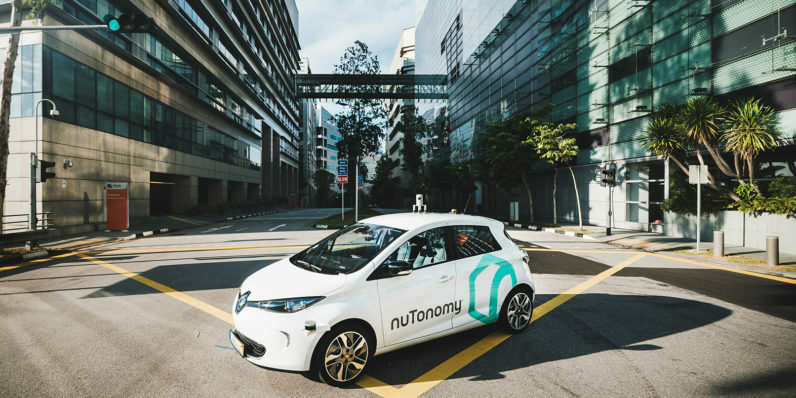 Nutonomy will invite select residents of Singapore to try its service by booking a free ride through its mobile app; passengers will be transported to their destination in a Renault Zoe or Mitsubishi i-MiEV electric car that’s been tricked out with custom components for autonomous driving. As with Uber’s trials, Nutonomy’s public test rides will see an engineer from the company take a seat in the self-driving cab to observe the vehicles’ real-world performance and take the wheel in case of an emergency. The company, which was founded by MIT’s robotics and intelligent vehicle tech experts Dr. Karl Iagnemma and Dr. Emilio Frazzoli, says it’s been privately testing its self-driving taxis in Singapore’s one-north business district since April. It’ll be interesting to see if the move to kick off public trials helps Nutonomy get a leg up in the self-driving vehicle race. In addition to major firms like Uber, Google and Tesla which are working to develop their own autonomous vehicle tech, Delphi and Mobileye – two premier auto component suppliers – announced this week that they were teaming up to create an aftermarket self-drive system that car manufacturers will be able to integrate into their vehicles.